Labor Day was originally a local holiday, the first being celebrated in New York City on September 5, 1882. It was acknowledged nationally in 1894 after President Grover Cleveland, an anti-union president, deployed 12, 000 troops to break the American Railway Union strike against the Pullman Company. The hostile environment surrounding the strike led to a clash, resulting in the deaths of two union members. As 1894 was an election year, President Cleveland worked hard to appease the public outcry against the handling of the strike. In an unprecedented move, legislation to make Labor Day a national holiday rushed through congress in only six days and was signed into law by Cleveland immediately following. While Labor Day celebrations have changed over time, and most of us are more likely to be at a cookout on Monday than a Labor Day parade, we cannot deny the contributions of America’s workers – men and women, blue- and white-collar, unionized and non-union, paid and unpaid – have made to our great country. America’s public holidays, 1865-1920, by Ellen Litwicki (2000). May day: a short history of the international workers’ holiday, 1886-1986, by Philip Sheldon Foner (1986). 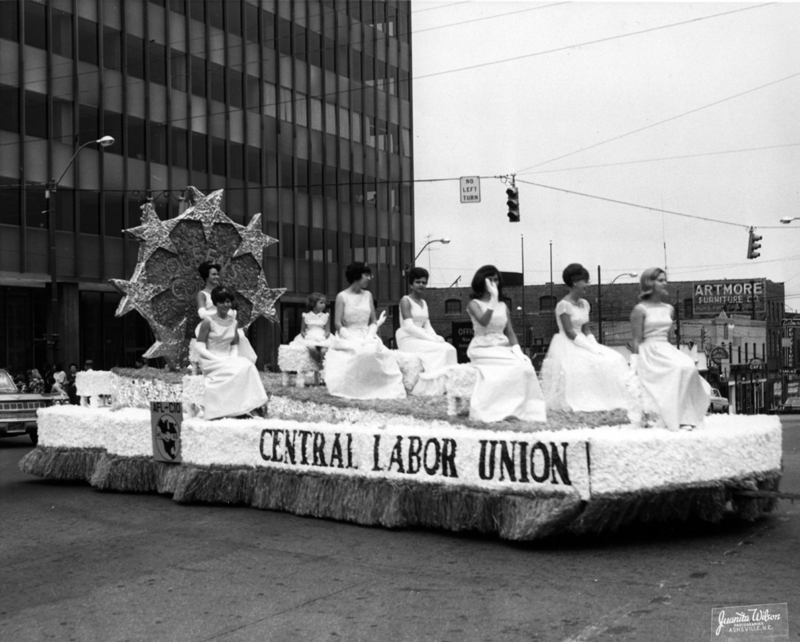 What’s new in the Southern Labor Archives? Check out our September 2010 Newsletter. For more information, please contact us at 404.413.2880 or at archives@gsu.edu. 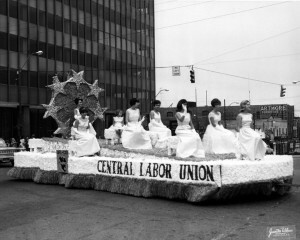 Photograph courtesy of the John E. Jervis Papers (L1974-44), Southern Labor Archives, Georgia State University Library.